Ready for a deeper look at Python that helps you address real-world problems? Dive into our newest course, Python 2! Tailored for coders who have completed our introductory visual coding courses and want to advance to text programming, Python 2 is a thorough introduction to computer science recommended for ages 13+. This course supplements our other Python course, Jungle Run, which offers a game-based introduction to Python through programming puzzles and a focus on game development. Python’s readability makes it one of the best beginner languages for kids. Python code resembles the English language and eliminates extra notations, like curly braces, that are typical of many other programming languages. Around for more than 25 years, Python is a favorite among scientists because of its broad set of extensions for Astronomy, Mathematics, Neuroscience, Machine Learning and more. Python is part of the winning formula at many companies worldwide. Next time you enjoy a special effect in a Star Wars movie, for example, remember that Python was probably behind it! Python 2 features 15 chapters that guide your child through hands-on coding activities, programming challenges, quizzes, and more! The chapters move in small steps with a balance of new concept introduction and practice. Gain a complete understanding of Python from the ground up! By the end of the course, your child will be comfortable with the Python language and with the critical thinking and reasoning skills that are essential for computer programmers. 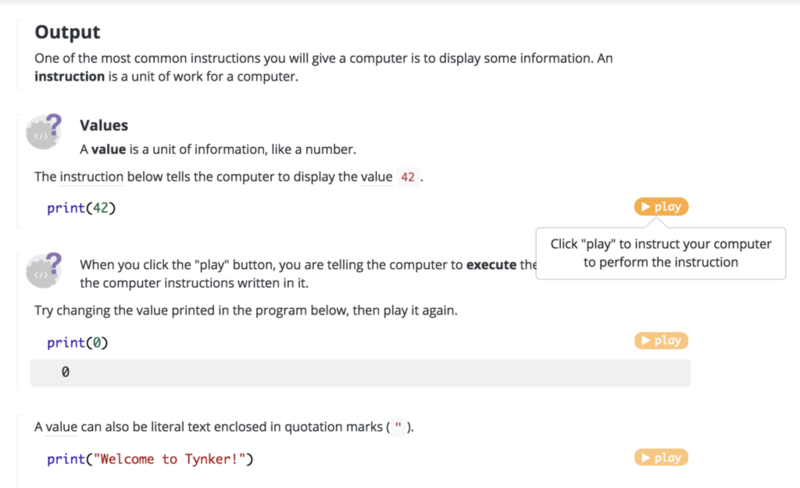 Python 2 uses our custom browser notebook that enables kids to type in Python commands and immediately see them work by clicking on the Play button. There’s no need to set up a programming environment or download anything! 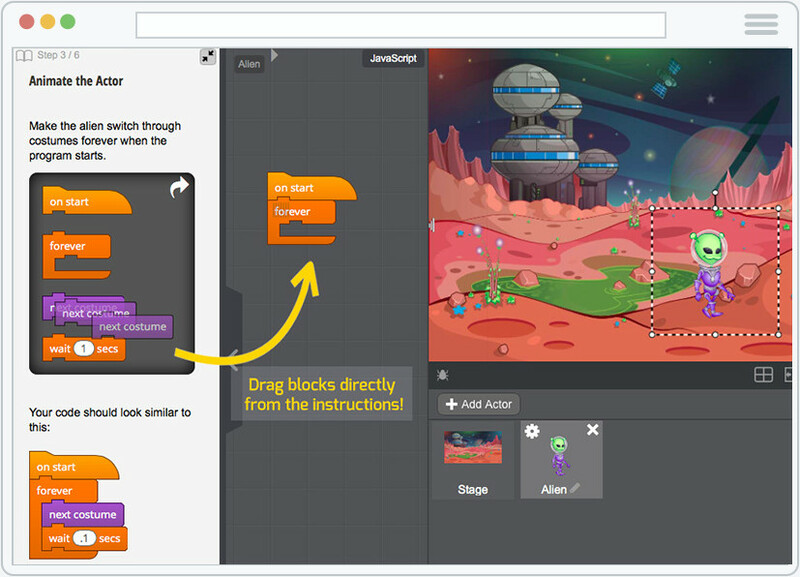 Unlike watching static videos, this method is an interactive way to learn by doing. For kids, one of the most frustrating parts of learning a new language is understanding the errors that are presented and solving these issues. 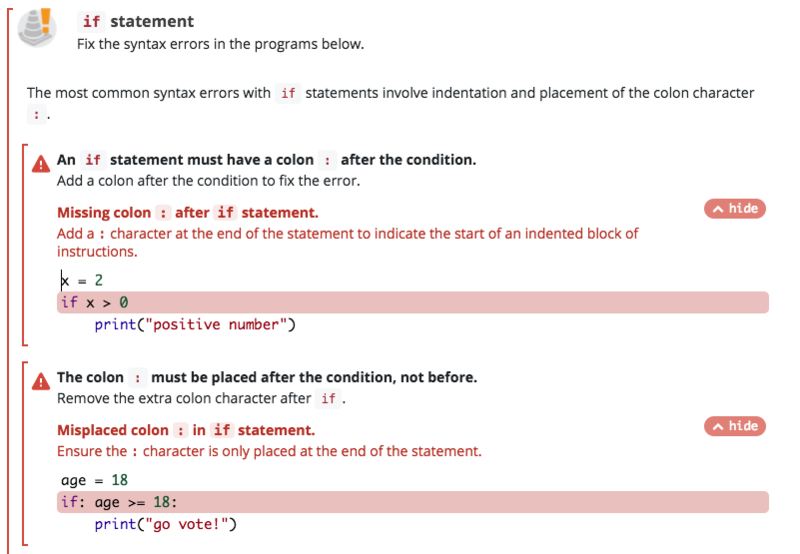 With Tynker’s advanced pattern matching technology, we’ve simplified the types of error messages that kids see, and we offer easy-to-understand hints to help kids debug their errors. In each chapter, students are challenged with real-world math problems that they solve by applying the skills they’ve learned. For example, after learning about math operators, they’ll solve problems like building a Celsius to Fahrenheit temperature converter, generating Fibonacci series, calculating the LCM of 2 numbers, and computing a factorial. Packed with over 200 real-world math, science, and computer science problems, Python 2 is designed to turn kids who complete the course into confident coders and students. Armed with a solid understanding of Python, students will become more confident in their ability to apply coding to address real-world problems. 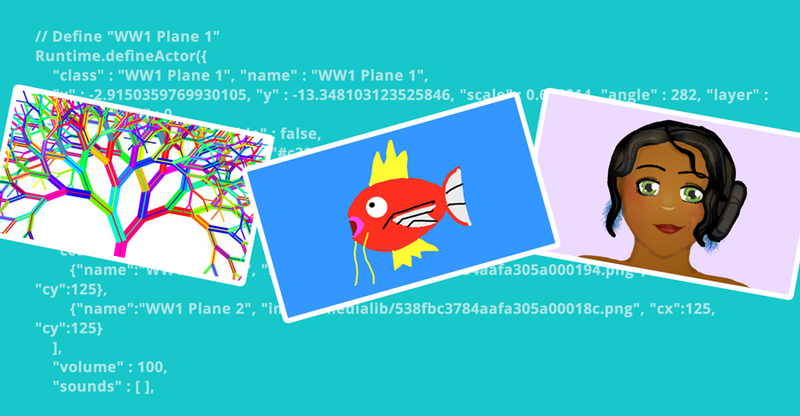 Whether they want to build their own Rock Paper Scissors game, write a Mad Libs story maker, or calculate the value of pi, they’ll be able to do that with Python!